Full-service eCommerce Design, Development and Experience agency. is Magento 2 certified x31. a Magento Enterprise Solutions Partner. Our clients are the most important part of our day. We don't think of our portfolio as just "work." We strive to become an extension of every client's brand to understand the industry, needs and goals - and where we fit in to help achieve these cornerstones. With a client portfolio that includes industries such as B2B eCommerce, fashion, food, wholesale, CPGs, homegoods, pet supply, electronics and more: we know how to develop and design for success. 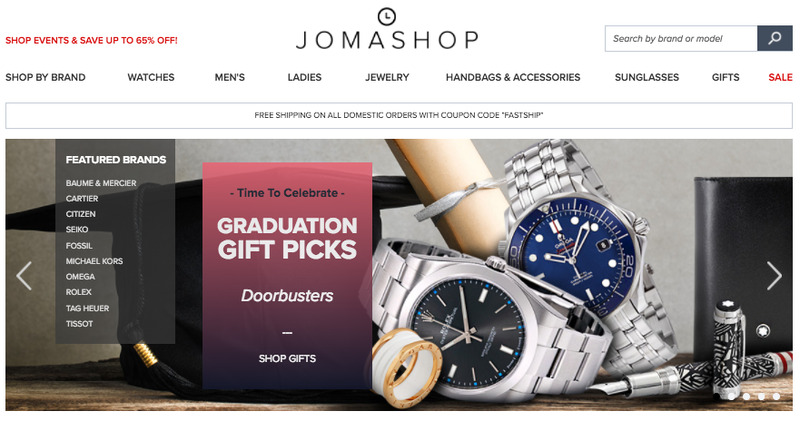 Web SOlutions NYC helps JOMASHOP expand to new markets and gain competitive advantage in the luxury retail market. Web Solutions nyc and World of Watches launch a fully-functional Magento 2 site in just 10 days. "Working with Web Solutions NYC is always a seamless experience. Every professional on their team is Magento-certified, responsive and clear on expectations, timelines and deliverables. A diverse portfolio of industry-leading brands in eCommerce trust Web Solutions NYC, and they are a long-standing reliable and reputable Magento partner." Our headquarters are located in Midtown West in Manhattan at 1220 Broadway (Broadway and 30th). With additional offices in Canada, Europe and Virginia, we are here on your schedule.